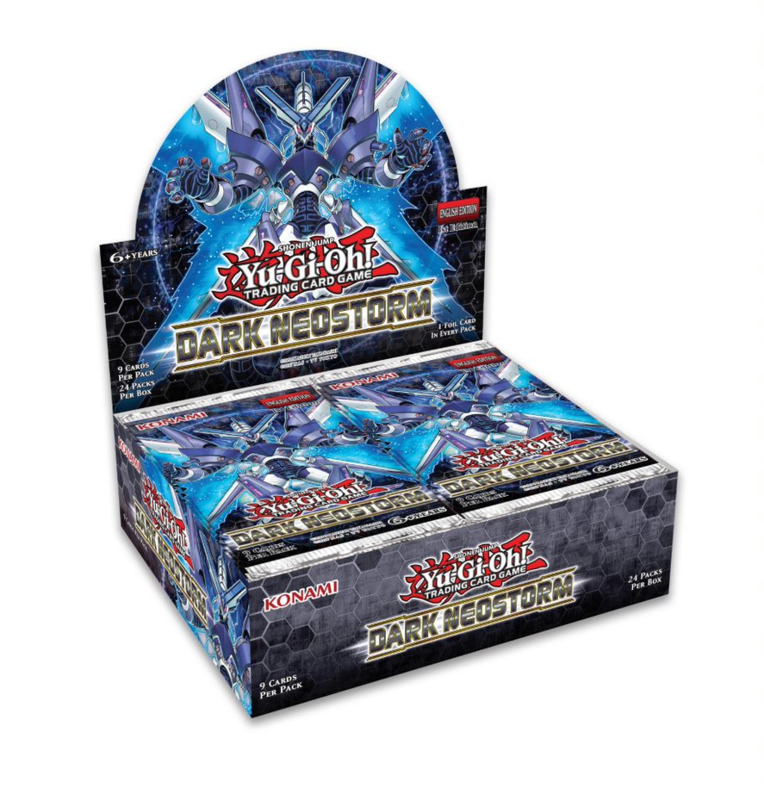 Dark Neostorm has finally been officially announced for TCG Release! * A metamorphic Dragon that lets you trade a card in-hand for a monster that matches the Type and Attribute, but not the name, of something on the field. * The first new “Assault Mode” monster in a decade, designed to work in a Deck using the “T.G.” cards from Savage Strike. * Multiple new “discard” Effect Monsters, including one that boosts your LP for each Effect Monster your opponent Special Summons and another that takes aim at Extra Deck “climbing” strategies and other similar strategies by preventing a monster from being Tributed or used as material for a new Extra Deck monster. * A Reinforcement of the Army-like Spell Card for Cyberse monsters, the perfect addition to any Deck based around the cards from Structure Deck: Soulburner, Structure Deck: Powercode Link, or Structure Deck: Cyberse Link. * A Danger!-ous Spell Card that lets you escape from the clutches of a massive monster only to find yourself face-to-face with something smaller and possibly fiercer. * A Link Monster for one of the most popular Xyz-focused Decks of all-time: Burning Abyss! * Brand-new cards for Valkyrie Decks!